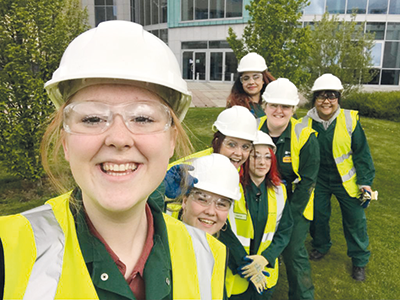 In its campaign to get more people into STEM careers, Northampton College ran a competition challenging local young people to create a solar-powered water heating system from scratch, reports Samantha King. 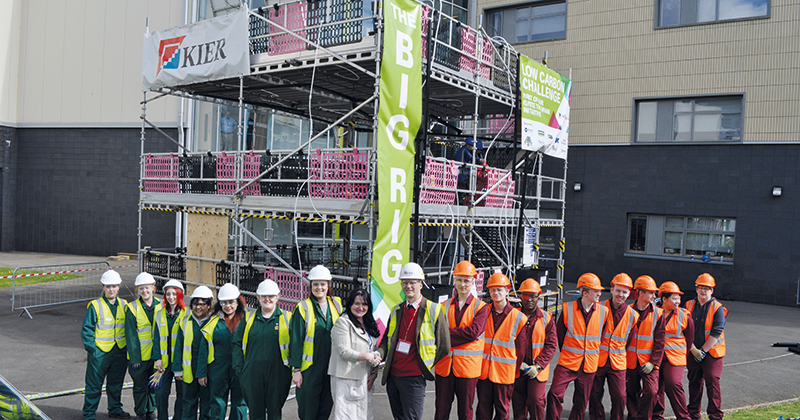 The week-long Big Rig challenge, held at the college’s Booth Lane campus, pitched eight teams made up of apprentices and school pupils against each other to create a water-heating system on a specially constructed scaffold. An all-female team emerged victorious, scoring highest in criteria including how effective they were as a team, how well they understood and executed the project, and their economical use of materials. The teams were put together by the college after registering their interest in the challenge, and met for the first time on the day of the event. There are plans to run the competition again next year but with a different task relating to another STEM area. The Big Rig challenge was the latest activity the college has run in its ongoing ‘Igniting the Spark’ campaign, running workshops on the solar system for seven schools in Northamptonshire in conjunction with the UK Space Academy earlier this year.